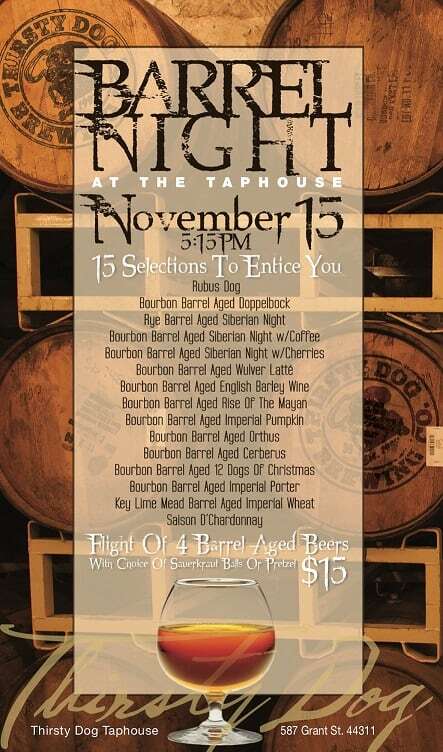 Barrel Night at the Taphouse | Thirsty Dog Brewing Co.
Join us at the Taphouse Akron for our Barrel Night on November 15th. We will beer serving 15 different Barrel Aged Beers. **Drink Special* * Order a flight of 4 Barrel Aged Beers with a choice of Sauerkraut Balls or Pretzels for $15.00.